With the LaCie Porsche Design Slim Drive’s USB 3.0 interface, you’ll be able to transfer files faster than ever before. Back up your photos, exchange audio and video files with your friends, and make sure that your important files are kept safe. 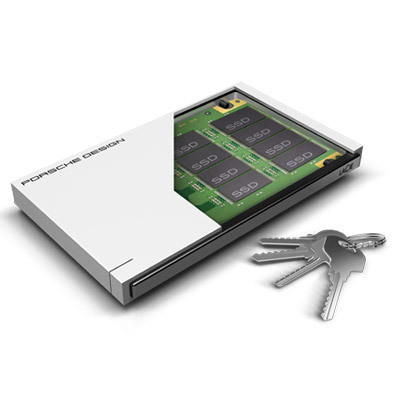 With speeds of up to 100 MB/s* in the HDD (400 MB/s in the SSD) model, the possibilities are endless. Opt for the SSD model for even more speed and resilience. It delivers turbo speeds of up to 400 MB/s. Since SSDs resist shock better than hard drives, the product will keep your data protected even if it falls off your desk while turned on. We first worked with Porsche in 2003 and it resulted in one of our most popular hard drives that’s still talked about today. With the LaCie Mobile Drive, we’ve produced an exclusive and timeless shape, with solid, reliable hardware that’s sure to last for years. You can use it anywhere and be confident that you’re getting superb performance. 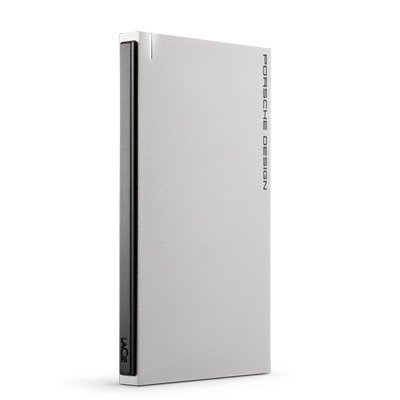 The LaCie Porsche Design Slim Drive was designed especially for Mac computers. 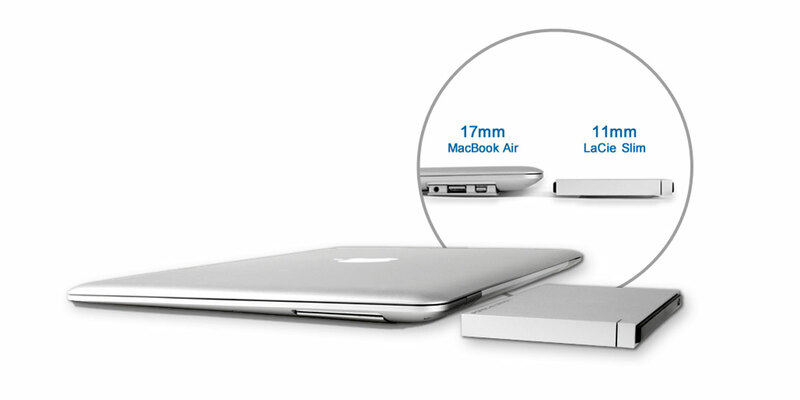 Slimmer than the new, ultra-thin MacBook Pro® and MacBook Air®, it features the same stylish, sophisticated aluminum finish. Plus, it’s Time Machine® compatible, so you can seamlessly back up to the drive using the built-in Apple® software.